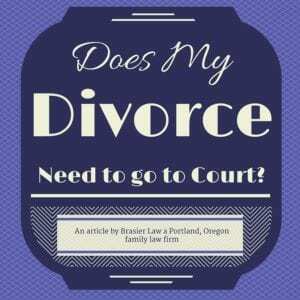 Can I Avoid Court For my Divorce or Custody Case? Many people, when faced with a divorce, dread the idea of having to go into court and putting their lives on public display. The good news is that in reality, very few divorce or custody cases ever see the inside of a court room. The way divorce or custody cases play out, is both parties start by filing their pleadings. These are basically their wish list. In short you are likely to avoid court during your divorce or custody case. Often times, the things people ask for in their starting paperwork are way out of line with reality, and attorneys even sometimes exaggerate that “wish list” as a strategy. Once your starting paperwork is done, the parties typically engage in a process of negotiation. This is far more successful when both sides have an family law attorney. The attorneys can guide both sides back from their wish list, closer to a more reasonable middle ground. At any point, if the parties are able to reach an agreement on the disputed issues, the case becomes “settled”. Once that happens, the only remaining step is to draft the final court order that includes the agreement you reached, and file that with the court. Often when both parties have a divorce attorney they will avoid court better than cases where there are no attorneys. If the parties are able to work things out, then they never have to see a judge. Most cases settle before reaching the courthouse, particularly when both sides have a good divorce attorney. It’s somewhat ironic, as many people try to avoid hiring an attorney to help with their divorce because they are worried it will make them end up in court. The exact opposite is usually true. Hiring attorneys usually results in everything getting worked out more smoothly, so nobody has to trust in a judge to make the final decision over their future lives. There are also cases where both sides are already agreeing to the terms of their divorce, we call these uncontested divorce cases. These cases can easily avoid going to court and our family law attorney can help make sure the paperwork is correct for a much lower fee than contested cases. We highly recommend that you read our articles on uncontested divorce to find out more about how these cases can be a peaceful, quick, and inexpensive option when both parties are on the same page. 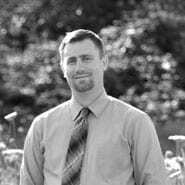 Tom Brasier is an experienced family law attorney practicing in the greater Portland, Oregon and Vancouver, WA areas. 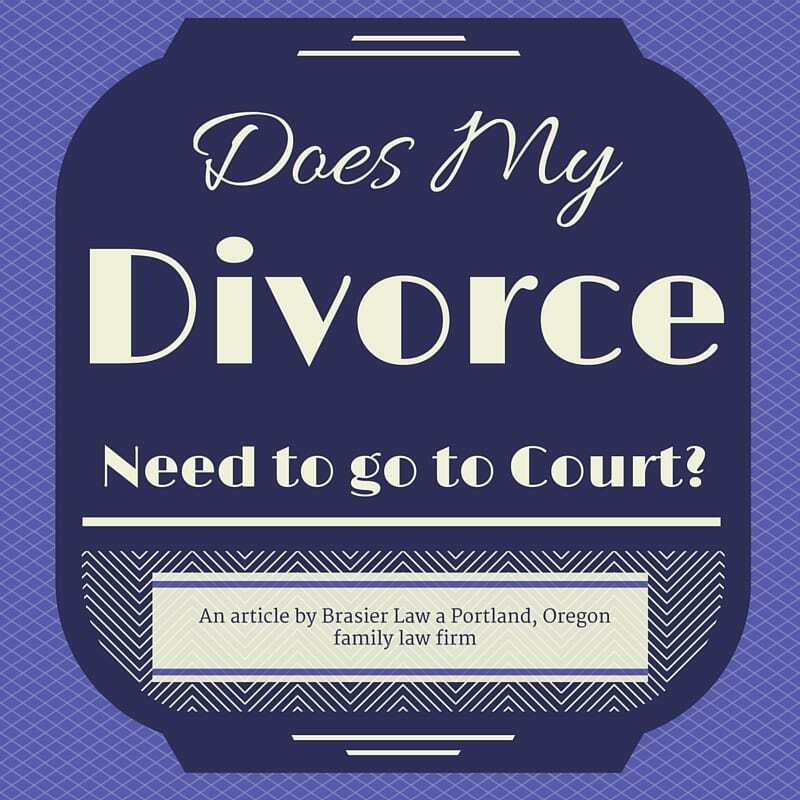 Brasier Law is a divorce law firm with offices in Portland, Oregon and Clackamas, Oregon. You can contact us regarding your divorce, custody, or restraining order case at 1 (503) 855-4777 or by using the contact us form below.